Shortsleeve sweat top by Soft Gallery. 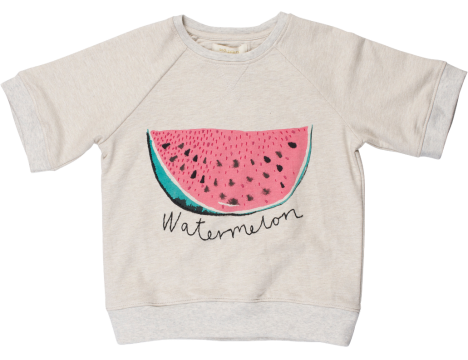 In cream melange fleece with artwork WATERMELON on front panel. 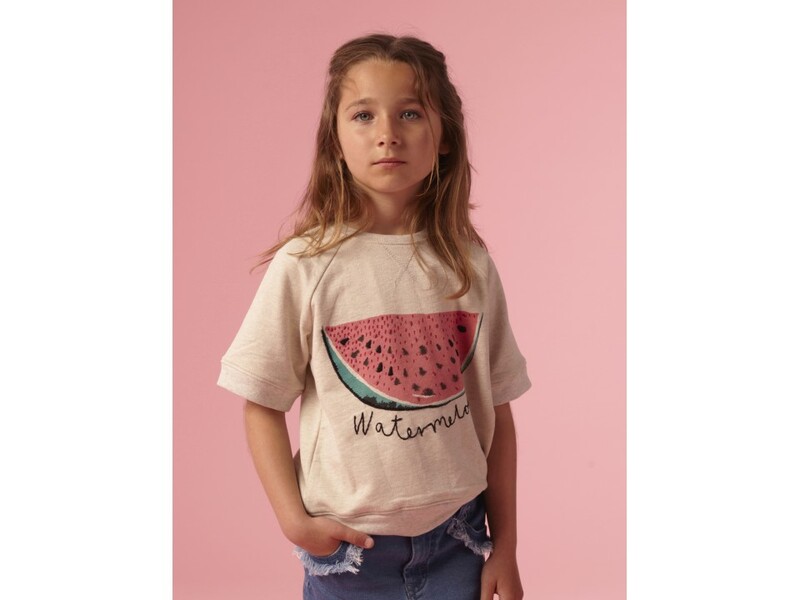 Soft Gallery is a Danish kids label with artwork's and designs which do not follow a specific fashion trend but reflect, the time we live in right now. For boys and girls of 0 - 14 years of age.